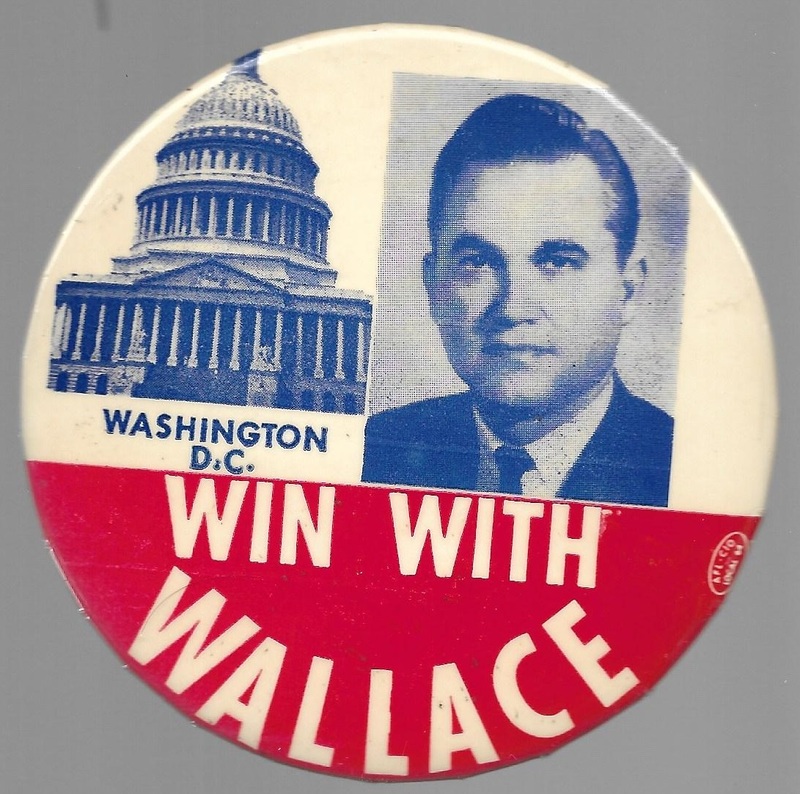 Win with George Wallace large celluloid pin from 1968. This 3 ½ inch pin pictures Wallace with the U.S. Capitol. Excellent condition.